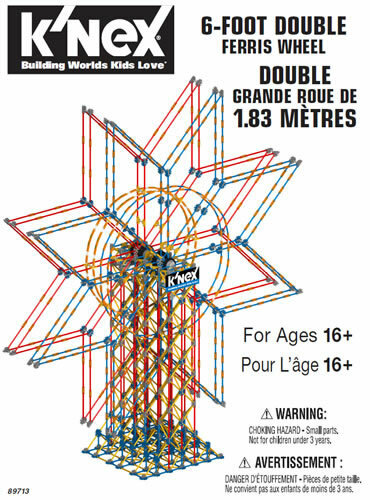 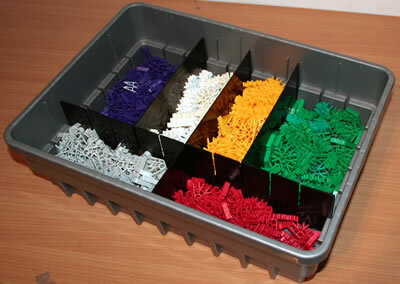 Four of the different standard lengths of classic K'NEX rod are available as "Flexi" rods, as shown in the photo opposite. 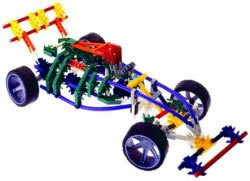 These rods can be easily bent, so as to provide curves within K'NEX models, rather than the usual straight lines. 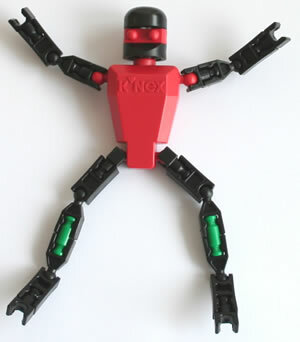 Flexi rods are supplied standard in some sets, and can also be bought as individual parts in our K'NEX shop. 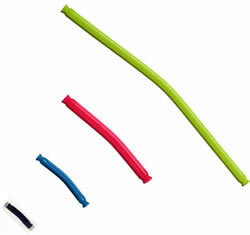 Many real-life objects include curved edges rather than just straight edges, and Flexi rods are ideal for modelling these. 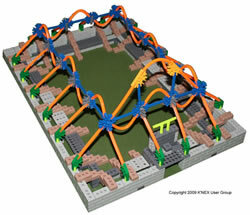 A further example of the usage of Flexi rods can be seen in the Sports Stadium roof in the photo.